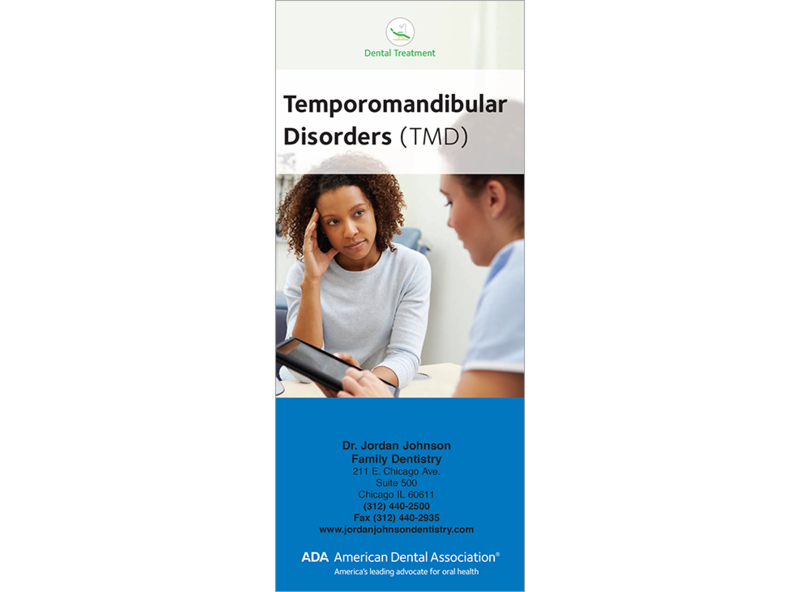 Give this brochure to help your patients understand the causes, signs, and symptoms of TMD. It describes the complex structure of the TMJ with anatomical illustrations and explains that TMDs are managed rather than cured. Lists some of the methods the dentist may recommend. 6 panels. Minimum order 150. Click Add to Cart then personalize for free. Now you can add personalized information on the front, back, or both covers on all brochures.